MINT was established in the year 2009. The decade old legacy holds a prestigious name and aspires to achieve the unprecedented heights. 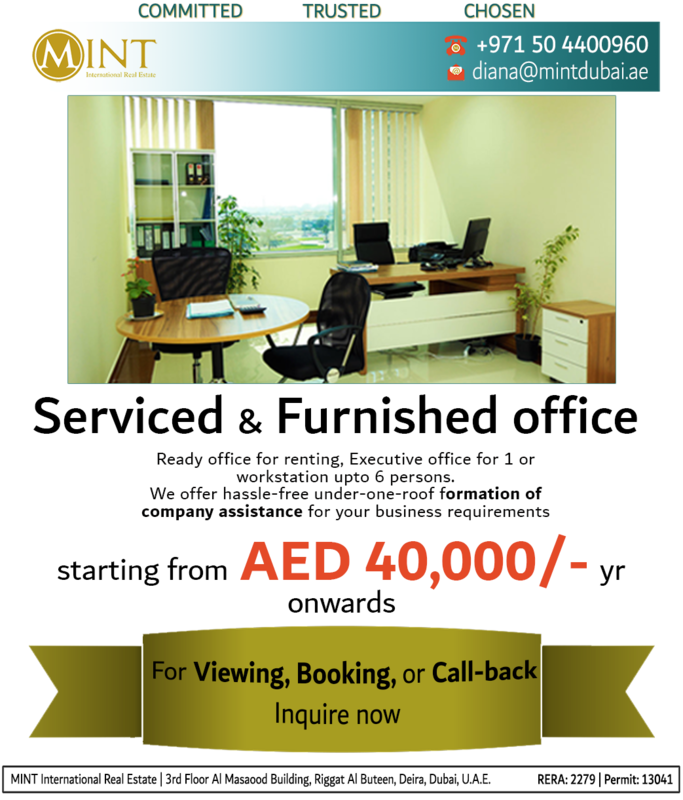 MINT International Real Estate- A Dubai based Firm with more than 18 years of expertise in U.A.E. 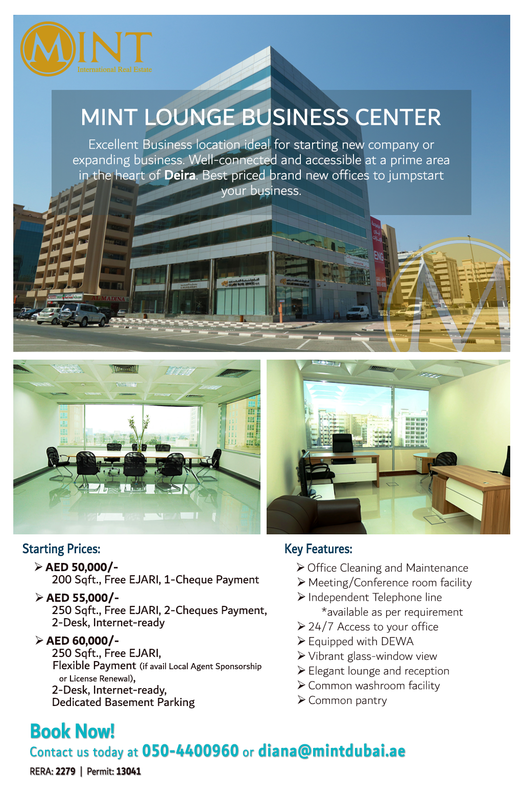 Real Estate Market for Commercial Leasing of Retails, Offices and in addition Leasing and Selling of Residential Properties within the U.A.E. The company is run by prominent Real Estate Experts with extensive experience of the UAE Market. MINT provides an Opportunity to its Customers to expand their Businesses in Dubai. 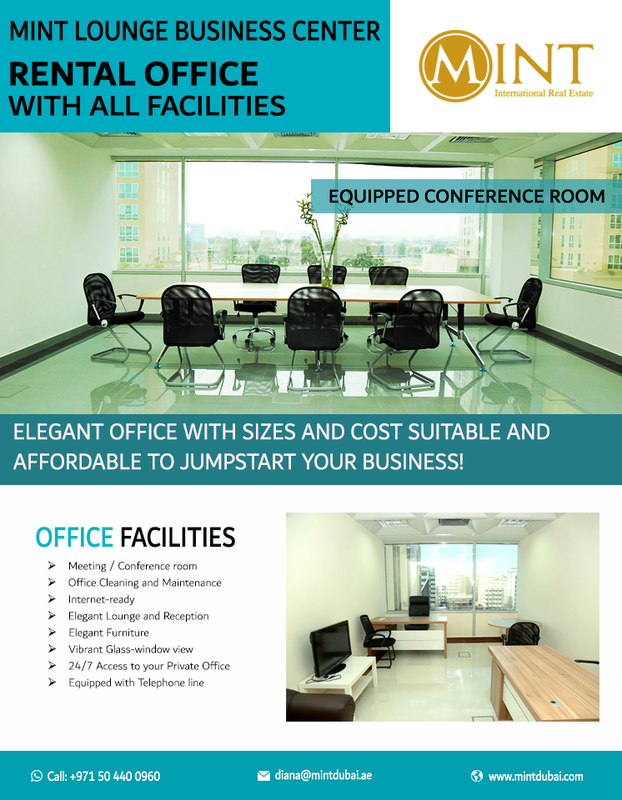 MINT expanded its business by launching two additional Furnished and Serviced offices MINT Business Center with 52 units on area of 1700 sqft and MINT lounge Business Center with 44 units on an area of 44 units with different sizes. MINT Dubai’s core foundation lies in its expertise of both UAE and international Real Estate market, as well as its established relationships with investors and clients all over the world. The founding Director has brought a vast experience in of real estate market with over 18 years of expertise from the United Arab Emirates. Our consultants have been proficiently trained to interpret our client’s needs and convert them into results. They are dedicated in providing real estate solutions to all our clients, delivering authoritative, independent and comprehensive advice. We aim to provide our clients with the highest quality of service. We continually strive to fulfill our client’s property needs and provide them with the highest level of customer satisfaction and current information on the ever growing real estate market.